– HOTEL INCREASE PUBLISHED POSITIVE REVIEWS !!! – HOTEL DECREASE PUBLISHED NEGATIVES REVIEWS !!! HotelFeedback is a Home Page in the Mikrotik hotspot router. When the guest logins in the Mikrotik router then, the mikrotik redirects him to the hotel’s HotelFeedback webpage. In order to activate HotelFeedback in your Mikrotik router you only need to Request a Demo http://hotelfeedback.gr/demo-request/ and we will send you the corresponding link for your Mikrotik router. The procedure takes less than ten minutes and then your Mikrotik is not only a router but also a review system. A Mikrotik consumer review system. 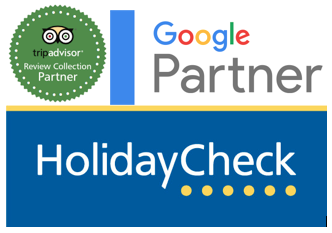 We are looking for IT partners to use HotelFeedback and make extra money! !